Irresistible Best Price and Vintages in Fine Wines SG! Best Provenance at Low Prices in Town! Latour 1968 going at $960! Many more top Latour vintages that are only available in Fine Wines SG! Sold out very fast, check us out for best prices! Chateau Latour is like no other Bordeaux wine. It is in a unique class of its own. 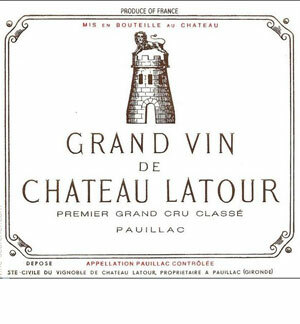 Chateau Latour has been the most consistent of the First Growth chateaux from the Medoc for over 100 years! 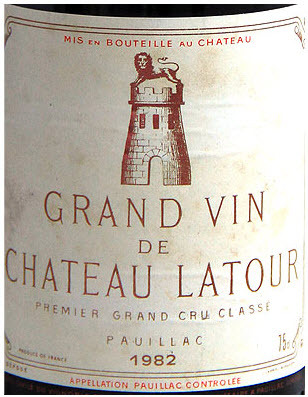 Since 1996, Chateau Latour has been producing some of the best wines in their history! Perhaps the best wine produced in modern times is the spell binding 2009 Chateau Latour. The wine is regal. It’s full bodied, powerful, tannic, pure, and sophisticated in its style. Filled with cassis, earth, truffle, spice and tobacco flavors, Latour in the top vintages require decades to fully develop. Once you taste a mature bottle of Latour, you’ll understand why it was worth the wait! Chateau Latour is a French wine estate, rated as a First Growth under the 1855 Bordeaux Classification, owned by Groupe Artemis. Latour lies at the very southeastern tip of the commune of Pauillac in the Médoc region to the north-west of Bordeaux, at its border with Saint-Julien, and only a few hundred metres from the banks of the Gironde estuary. The estate produces three red wines in all. In addition to its Grand vin, Latour has also produced the second wine Les Forts de Latour since 1966, and a third wine, simply named Pauillac, has been released every year since 1990.